We live in a time when there is always someone watching, and if you live in New York City, and plan on driving somewhere, expect them to know where you are every step of the way. Let’s start of on the simple base level: Security cameras. 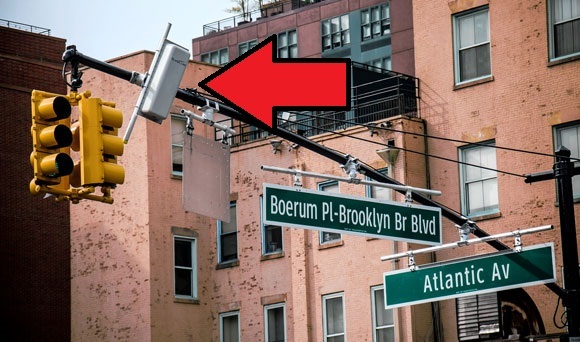 Besides for all the private ones that people have on houses (including private lines and Dropcams) the city has security cameras on many corners, including the ones installed by SW24 around the Midwood area of Brooklyn and the Diamond District in Manhattan. And don’t forget the Lower Manhattan Security Initiative. 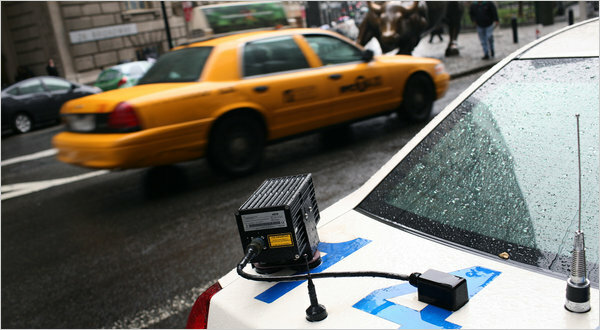 We then move up to: License plate scanners. This one is quite simple. Ever notice those strange devices on the back of a cop car? They read license plates as they pass, filtering through the cop cars computer, and returning immediate results on wanted cars, expired plates, and the likes. The last step I’m gonna mention: EZ-Pass Scanners. Yup, that’s a thing. And they exist on most corners of the city. Now according to city documents, the readers are meant to help improve congestion, merely taking in the data, and seeing traffic speeds (point A–>B), traffic patterns and helping the city better time their lights and such. Once again, this data is supposedly not saved, merely analyzed and your specific info is thrown out…which we are supposed to believe of course. Now, me personally, I don’t worry about any of this. If they want to follow me, then go right ahead. If someone isn’t doing something wrong, their really isn’t anything to worry about.